Victor Centeno and his wife, Santos Jarquin, live in a small, humble home in the remote community of Cayantu Arriba, located about 90-minutes, by truck (on unimproved roads), from the rural town of Trojes, Honduras. Life has not been easy for the Centeno family. 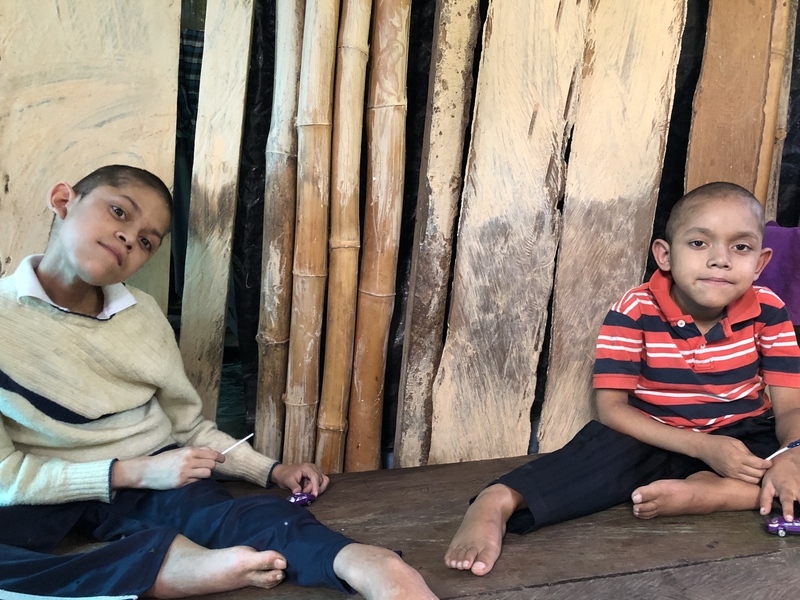 The boys, Gerson and Victor, have both suffered from illnesses that have left them unable to walk or move their hands. As time passes, they lose more and more mobility. 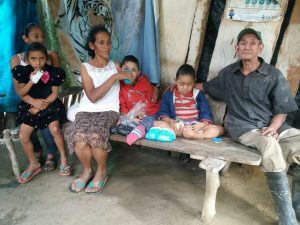 They have also suffered from malnutrition, constant diarrhea, and stomach pains caused by the contaminated water this family has been forced to use for drinking and bathing. It has been the only water to which they have had access. When the Pure Water for the World team initially visited Cayantu Arriba, to assess for a water project, they met the Centeno family. They were immediately moved by the situation and wanted to work quickly to help them. 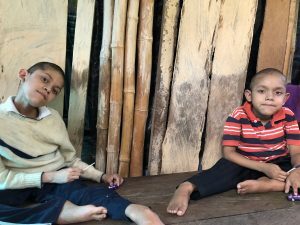 They knew the installation of a biosand water filter would be critical to helping the boys have safe water to drink, which would help remove the chronic stomach issues they had been experiencing and help with relieving the malnutrition issues. 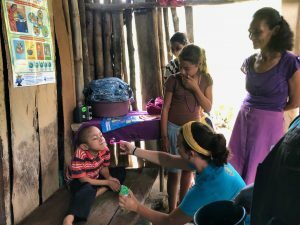 The family participated in the safe hygiene training and, in June 2018, they received their water filter. Volunteers from the United States helped to install this life-changing filter in the Centeno home. “Installing the water filter in the Centeno home was so important because it is essential for these boys and their family to have good water so that they can have the best health possible,” says Elizabeth Pratt, a 16-year old volunteer who helped with the filter installation. Along with installing the filter, the volunteers spent time blowing bubbles with the boys and singing songs. Before leaving the home, Elizabeth took a Polaroid photo of the family and gave it to them. It is the only photo the family has of themselves. Today, the Centeno family is thrilled to report that all of the adults and children are no longer suffering from stomach pains, diarrhea, or other issues previously caused by unsafe water. Today, they have a method to purify this vital liquid, and they are very grateful. Click here to learn more about PWW’s work in Honduras. PWW Travelers, WASH Success Stories Beneficiary Stories, DreamsComeTrue, Honduras, Success Stories, Travel for Good, WASH Success Stories. permalink.